BT will offer a free YouView set top box with no TV subscription to all new BT Infinity customers. Broadband customers not in an Infinity enabled area will also be able to get a free YouView box when they subscribe to TV Essential, starting at £4 per month (€5). 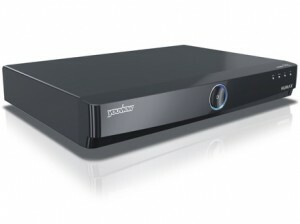 YouView from BT will be available with all of BT’s TV and broadband packages and will launch on October 26th. Existing customers can also upgrade to YouView for £49. – Seven day catch-up TV allowing customers to scroll back and catch up across all the channels from the BBC, ITV, Channel 4 and Channel 5. – Access to BT Vision, the largest library of video on-demand on YouView, with over five thousand programmes, including blockbuster and classic films, the best UK and US TV shows, kids shows, sports and the only place where you can find the latest HD films and music videos on YouView. There is a £49 activation charge, £6.95 delivery charge for the hub and line rental applies.